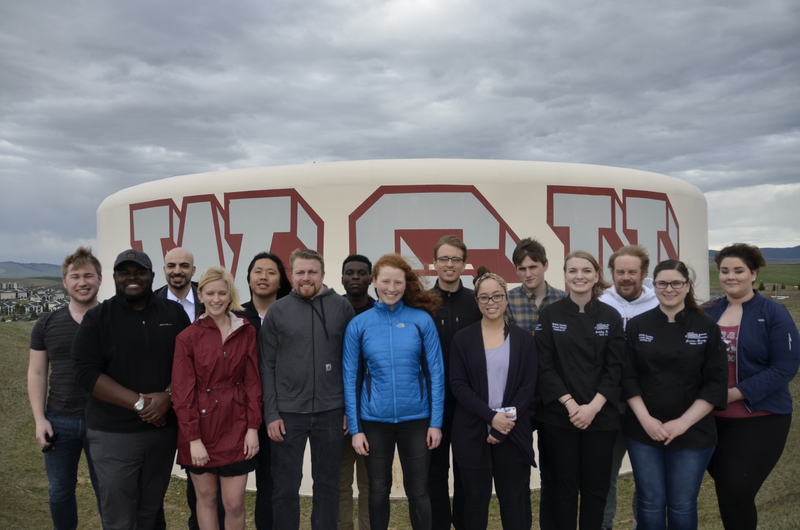 In September 2017, just before they were ready to transport their competition house to the event, the U.S. Department of Energy Solar Decathlon 2017 team from Washington State University withdrew from the competition. Although the team was not able to finish construction and bring its solar-powered house to Denver, Colorado, they fully met all the other rigorous competition requirements through multiple deliverable submissions. The Solar Decathlon Washington State team’s project, EnCity, is driven by a concept the team calls “tiny living.” Part philosophy, part lifestyle, tiny living includes tiny homes, environmental consciousness, self-sufficiency, life simplification, sound fiscal plans, and life adventures. The EnCity project functions within the context of a smart city—or a place where digital technology is integrated with a city's assets. The Washington State house combines machine learning, energy storage, smart grid connectivity, and heat recovery to find efficiencies and reduce energy consumption. Many of the technologies that make this house unique are leveraged from research across multiple areas of the university. The students are especially proud to showcase the use of modular design in their project. Thinking ahead of the tiny homes’ final destination, the Washington State team designed a “flat pack” system for ease of assembly and transport. Prefabricated modules transform from flat sheets to fully finished buildings, and each component, from roofing to tiling, is designed to connect seamlessly. This can be scaled to larger production so it’s simpler and faster to construct and manufacture. Rather than designing a single home, the team designed a series of tiny homes along with a communal clubhouse. The Japanese technique called shou sugi ban was used on the exterior of the home. This involves charring the wood and applying oil, which helps the cladding resist insects and fire. The team uses a four-step filtration and disinfection process to treat both collected rainwater and greywater that meets Washington State’s strict standards for water reuse. The Washington State team designed a “flat pack” system for ease of assembly and transport of the tiny homes. To maximize the amount of time open windows can be used to provide cooling and ventilation, the mechanical windows are programed to retrieve weather data and sense air pressure, and open and close according to the conditions. The deck is made out of composite decking materials fabricated from recycled wind turbine blades. EnCity is a pocket neighborhood of tiny houses and a clubhouse designed for urban infill lots in Seattle and Spokane, Washington. It is designed to provide residents with all of the amenities of a traditional single-family home, the convenience of city living, and the sense of community that so many desire. This unique concept is not only versatile for residents, but allows for various adaptations based on different price points, adapting to multiple demographics and locations. The team will complete construction of the EnCity home and clubhouse, and they look forward to showcasing and celebrating their work, especially the many innovations the students developed, with their supporters in the future.